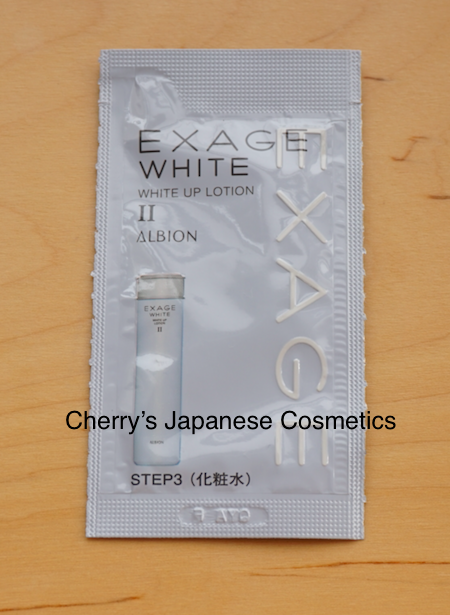 I (Cherry) got a sample of Albion Exage White WHITE UP LOTION, new for SS2016. Hope we will get #1 too, but in this time, what we got is #2. The lotion itself is a little bit sticky. Albion’s lotions are with Alcohol, and my skin is sensitive for Alcohol. Now, I do not want to use their famous Skin Conditioner Essential, I feel sting. It was good that I do not feel sting from Albion Exage Moist Lotion, and also no sting from this #Exage White” lotion too. Yeah, perfume… this strong perfume is only one bad point of Albion products. Please check the latest price and order from here: “Albion Exage White WHITE UP LOTION”, or in JPY Branch!